One of the most discussed opening ceremony of the history of the Olympics just happened. What do event professionals have to say? How would you rate it? Who doesn’t love the Olympics? The biggest event. Billions to produce it, years to make it happen, half of the world population watching. Olympics also mean extensive effort from cities and destinations involved. Not everything goes to plan. This time in Rio, you can say it was the case big time. With so many obstacles including a government under scrutiny, police officers saying it was not safe, riots in the streets, pictures in the media with far from completed infrastructure, you bet things did not go as planned. These issues and images were vivid in our eyes when we watched the Opening Ceremony on Friday. So what do special event professionals think about it? 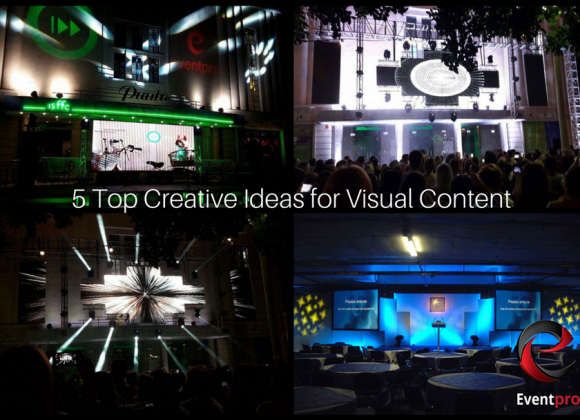 We asked some of the best to look at what was presented and here are the responses. Did You Like the Olympic Ceremony? As someone who immerses himself in all news related to social media, I was soured on the Olympics prior to the opening ceremonies. While I understand the importance of giving prominence and value to event sponsors, I believe the bullying tactics of the USOC are both unprecedentedly overreaching and against the spirit of the Olympics. The committee stated that if non-sponsor businesses acknowledge the Olympics in social media (including retweets and the use of hashtags) they will face litigation. This is a frightening precedent if it proves to have teeth. American coverage has chosen to delay coverage by an hour in the first Summer Olympics in the Western hemisphere in the social media age. If you combine all that with the ruling that journalists can not share Vines or .gifs from the games and we find a real divide between the Olympics and the digital world. The opening ceremonies of the first Olympics hosted in South America was created by Brazilian film makers Fernando Meirelles and Daniela Thomas and never shied away from the darker sides of their country’s and man’s history. 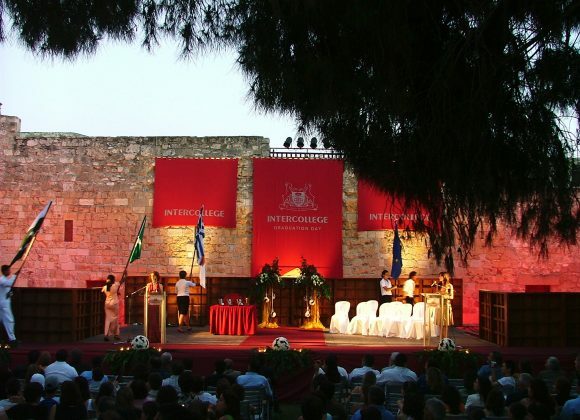 This ceremony had less budget than recent Olympic opening ceremonies so they focused their energies on one form of technology (projection mapping) coupled with less props and more set pieces and one underlying message – the environment. The stress on simple designs and honesty, heart and soul resonated with me. With the absence of larger than life “mechanics” that have become common fixtures at spectacle events, the producer in me missed some of the jaw dropping moments and the overall scale just felt smaller. But, I felt that the choice to use their limited budget to invest heavily in projection technology was wise, if not groundbreaking. I loved the visual lines created by the string curtain and I thought the use of perspective and dimension in their mapping was impressive. The massive mapping also somewhat made up for their exceptionally small cast (only 700!) and absence of props. Like many other events, I felt that producers struggled to find a balance between making the event a pure celebration or an opportunity to make a political statement. And, both felt slightly off the mark. Overall, I’d rate the show as a 6– -bonuses for successfully using technology to make the best of a tough budget situation. But, in the absence of a common thread woven through the production, the show felt more like a string of vignettes than a cohesive story. Ruud Janssen, Event Designer & Co-creator at Event Canvas. It’s amazing how with so many recurring elements that everyone can predict, there is always something magical about the opening ceremony of the Olympic Games. Its simple promise is to open the Games but not without letting the host country, the competing athletes parade of nations and past athletes in lighting the Olympic Cauldron and the officials claim their moment in the spotlight. I tip my hat to the team who take on the challenging task of creating the Olympic Games in this case with an opening at the legendary Maracana stadium kept secret to all until showtime. Having had the pleasure of working with them on Event Design, I can assure you, this is not an easy feat. It is a complex machine with many moving parts, and although not world’s largest event, the Olympics are probably to most iconic celebration of Olympism and of humanity through sports. Brazil made it clear that the opening ceremony cost them around 20 time less than Beijing and 12 times less than London – so of course in comparison it was going to be ‘budget’. However given their obvious goal to make these games as sustainable as possible (and educate us in the process), I’m not mad about it. The video projection was amazing, energy was amazing, and colour scheme was amazing (if a little crazy). However, some elements of the ceremony didn’t seem to ‘flow’ logically making it difficult to follow at times, and given the focus on performing some of the AV quality was terrible. When a large majority of your audience are not experiencing your event first hand, that just can’t happen. Overall I liked that Brazil were essentially saying ‘stop unnecessary Olympic excess’ and celebrating their diverse culture, but the production wasn’t as tight as it needed to be. I have had the opportunity to be at past ceremonies live, and have watched every opening and closing always. This one certainly lived up to expectations celebrating the three tenets of the movement, Sport, Culture and Sustainability. “Let’s look for similarities and celebrate differences.” From solo musician and model to a study of acrobat and architecture, and always, a floor filled with a party, first choreographed with dancers from across the nation and then with athletes, proud and excited, they are all there. The opening sequence shared all it has meant to be Brazilian, from explorer to slave, maverick to farmer, teacher to athlete. Sustainability and the consequences. The message clearly stated to represent the way human society organizes itself has had a profound effect on our life on earth and some effects are irreversible. Here an incredibly effective use of muti-projection mapping showing in far greater than life-size the effects of CO2 and global warming, melting of the polar ice cap, sea level rise and the flooding of cities on each continent clearly identifying this is a world issue, not a local issue. Gender equality and diversity are two topics mentioned throughout. For women athletes in many countries there is no opportunity to compete – it was cited by the announcers as a “Fear of interest” – the women know their desire to train and compete at the required level would not be welcomed or approved of and therefore they simply don’t attempt this in many countries. I find it ironic some of the first doctors in the world were Egyptian women; that as long as we have had the wheel, then ships then planes we have had a diverse world, and yet still we struggle daily with issues. As event professionals we have the opportunity to bring people together to break bread, to learn from each other, to share ideas. Ultimately we are divided by artificial lines of country, language and culture, but we also only have one globe to live on, and doing this with curiosity, warmth and an eye on the bigger picture has to be a better way. The Torch Relay is often under the radar, only seen at the end point after weeks of bringing the Olympic flame around the entire globe or an entire country – as they now do. The team that does this is as dedicated as any, travels for much longer under much stricter logistical timelines and with a tighter budget, and brings joy and the spirit of the Games to areas otherwise untouched, often remote, and always welcoming. Kudos to these masters! The Torch this year is truly one of the most spectacular ever created and it is this type of design thinking that makes me proud to be an event professional. Was there ever a doubt that Rio knew how to throw a party? The opening ceremonies of the 2016 Summer Games would teach a lot to an event professional about exactly what that means. As a producer and designer, I look to see what was creatively done and what kind of story was told. Despite the overall budget being just a fraction of previous games, the story, and corresponding show combined to provide the viewer with an emotional roller-coaster over the 4+ hours of coverage. The word of the night was gambiarra, a local term that means improvising something special out of difficult circumstances and the team in Brazil showed that nothing was going to stop them. Creativity in using human elements, lighting techniques and low carbon emitting fireworks all were effective in lieu of newer technology and digital effects. All the Olympic elements feel a little too political in the message but the show overall was well done and it was a breath of fresh air to see a more traditional style show instead of just the newest technology. Pared back humble simplicity. In recent memory there was the bluster and excess of the Beijing Olympis in 2008. Following on from this, the theatrical complexity of the London Olympics in 2012. Here we have the beautifully restrained Rio opening ceremony. In a city and country dogged by austerity and corruption this was an understated but unapologetic celebration of the Olympic ideal. The performance captured the heart of Rio and Brazil. Featuring beautiful performances from musical greats Caetano Veloso and Gilberto Gil finishing with the obvious carnival atmosphere. 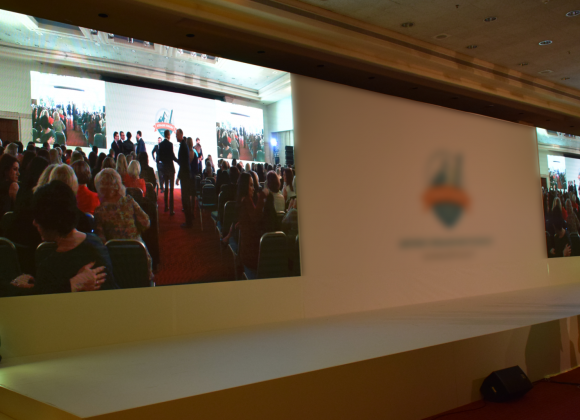 We specialise in content driven events using projection and storytelling. Although the creative director described it as an analogue ceremony in a digital world, this opening ceremony did not disappoint. They did not overreach and stuck to simple and effective use of projection mapping. A highlight was parkour runners jumping over tromps l’oeil buildings that really did seem we’re coming out the ground. Most of the rest of the ceremony did indeed use very simple theatrical techniques. I especially liked the silver boxes opening out to create green Olympic Rings. The wonderfully understated cauldron with sun sculpture rounded it off in style. On less than 10% of the budget of the London ceremony, Rio has done itself proud. Following Beijing and London was always going to be a hard act to follow and the Rio organizers did their best to dampen expectations in advance. All event managers know the challenges of working within a budget and in my opinion Brazil should be proud of what they created with 12 times less budget than London and 20 times less budget than Beijing. They worked well with some simple ideas and techniques using film, lighting and projection mapping to good effect. It was less Carnival and energized than I anticipated but I enjoyed the free runners and acrobats and the celebration of the different dance styles. The weaving and patterns of the elastic ribbons were also effective. The core themes of Reinvent, Rejoice and Replant shone through really clearly. The environmental message grounded the whole event and the seeds the athletes planted which will leave a lasting legacy was very poignant. The bikes leading out the athletes for each nation also continued the green messaging nicely. Overall, as an opening ceremony it wasn’t as polished, awe inspiring or energizing as the most recent spectacles we have witnessed but Rio should be proud of what they achieved and firmly focused on the next two weeks ahead. 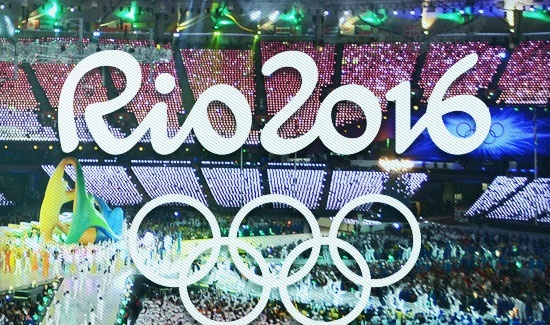 What do you think about the opening ceremony? Did you enjoy it? What’s your vote out of 10?